Voting has come to an end, check the results below and don't forget to fill out our feedback form found here. 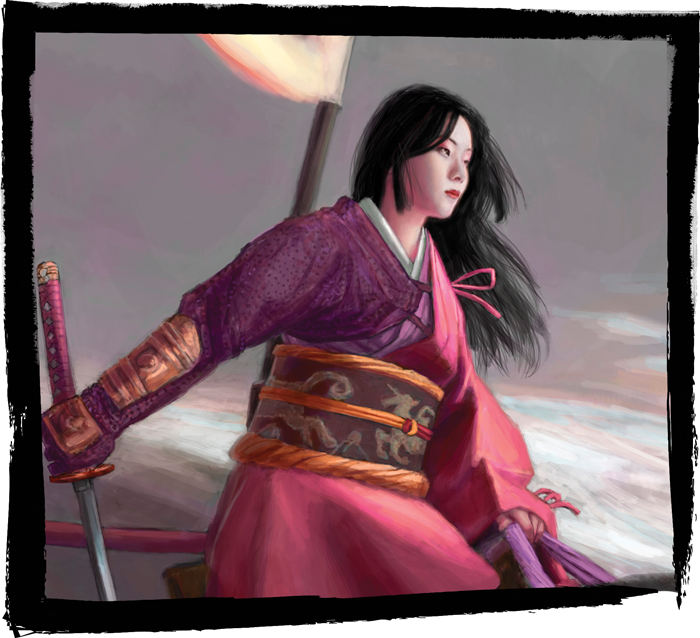 Thanks to everyone who participated in the Legend of the Five Rings Create-a-Card Series, watch for the Worldly Shiotome in a future Legend of the Five Rings: The Card Game expansion! 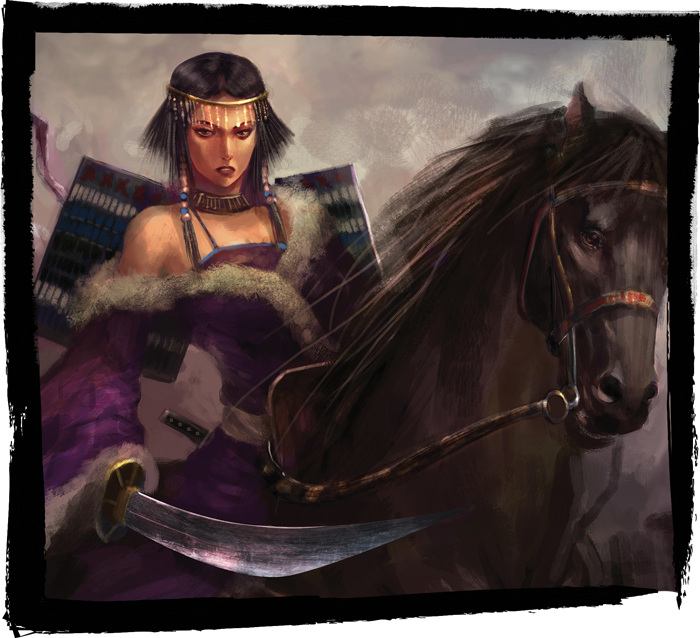 Welcome to the final week of the Legend of the Five Rings Create-a-Card series! 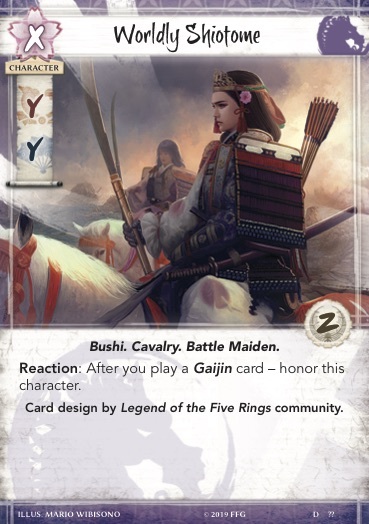 Over the course of our article series, we've seen you, the Legend of the Five Rings: The Card Game community, designing your very own card to be included in a future expansion. 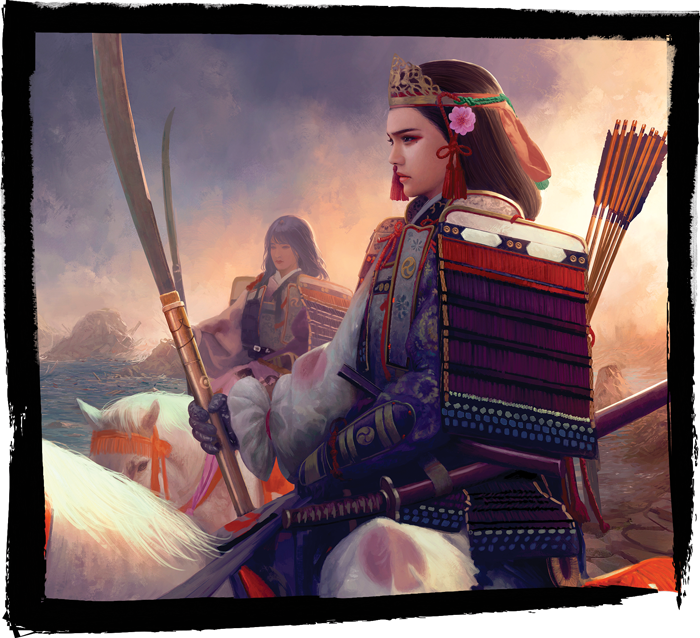 We're nearly finished with our journey—we’ve determined our character will be the Worldly Shiotome, a Unicorn samurai of the Utaku family who has a particular affinity for gaijn customs and items. 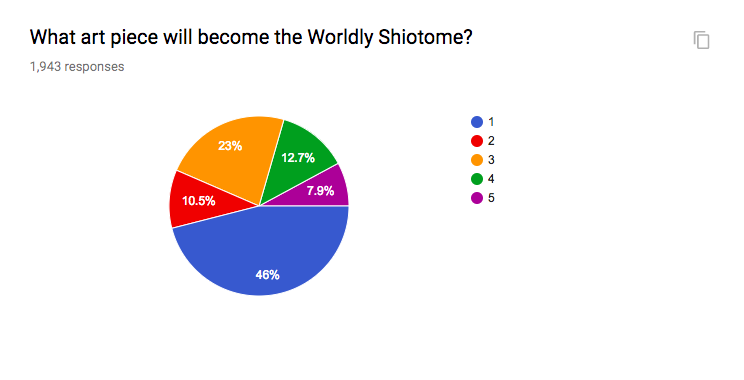 Through weekly votes, we’ve determined nearly every aspect of the Worldly Shiotome, but there is still one vital piece missing from the puzzle. Join us today as we determine the art to be used on the Worldly Shiotome character card! 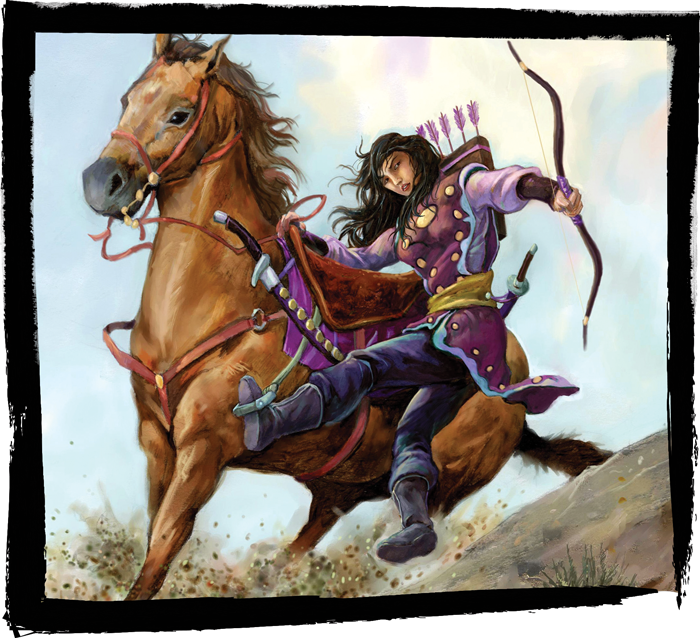 Five pieces have been selected as possible representations for the card, and it’s up to you to make the choice. Continue on to get a view of the five options, and remember to vote at the end of the article to make your voice heard! Consider your choice carefully, then vote in the poll below within the next 24 hours! Check back tomorrow for your first glimpse at the Worldly Shiotome. This vote brings our first Create-a-Card series to an end, and we hope you had a great time voting and following along with the results! If you have thoughts on the process, please feel free to take this brief feedback poll to help us refine the series for possible use in the future. 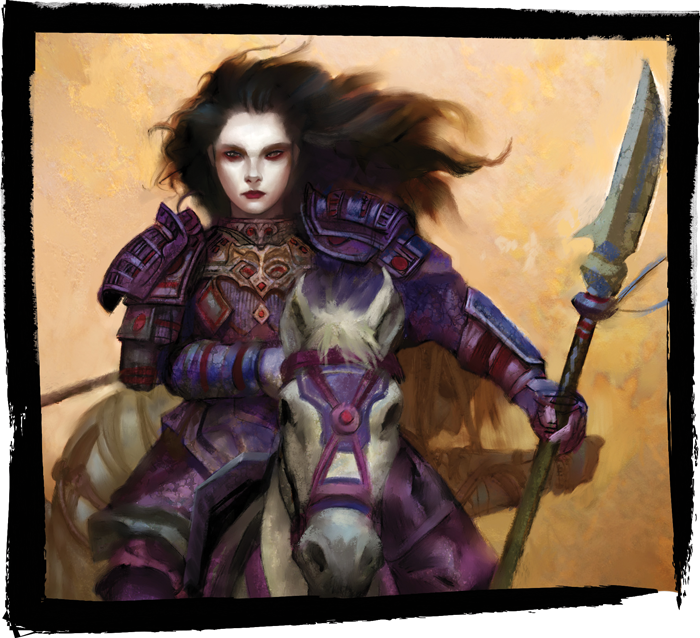 Join us next week as we begin previews for Children of the Empire, Legend of the Five Rings: The Card Game’s first Premium Expansion!